Over time, your teeth will show signs of age and wear. Enamel starts to erode, and certain foods and drinks cause stains. If you grind your teeth, they may become misshapen or chip. You may not smile as much if your teeth don’t look their best, but there are options to brighten and improve them. 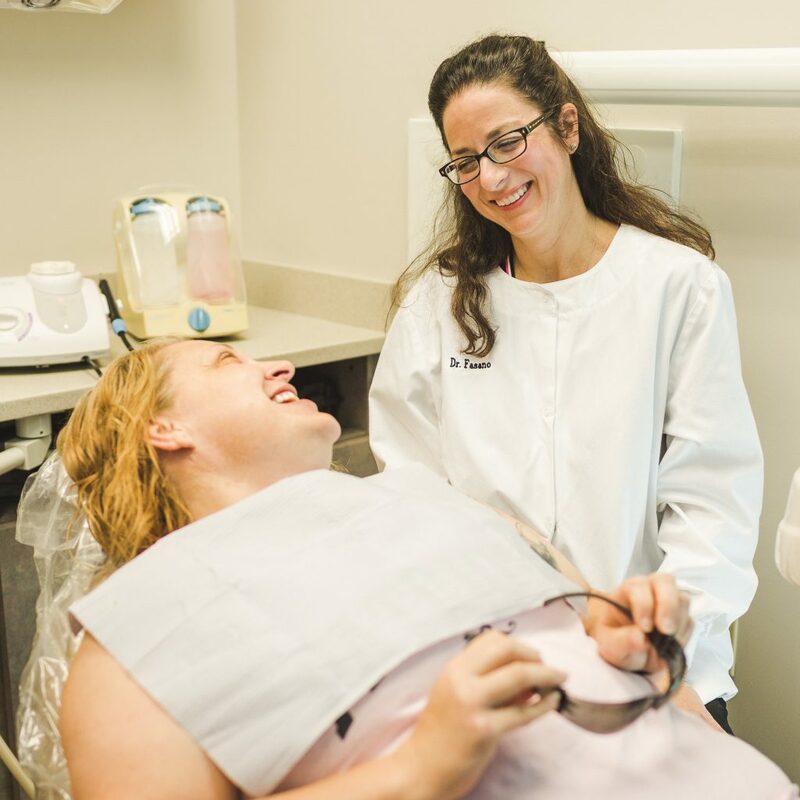 Dr. Fasano has treated patients in Virginia Beach using quality dental veneers for over 20 years. Dental veneers are thin shells designed to cover the surface of a tooth and have the look and feel of your natural tooth enamel. Veneers are used to change a tooth’s color, shape and length, and can help close small gaps between teeth. They won’t irritate your gums and they can cover cracks or chips, so your teeth appear free of imperfections. They are easy for a dentist to apply and, in some cases, are a good alternative to orthodontic procedures. Which Dental Veneers Are Right For You? Porcelain has a glasslike surface and can better mimic the light-reflecting properties of natural teeth than other veneer materials. Porcelain is very resistant to stains, so your smile can stay brighter for a long time. Porcelain veneers are thinner than counterparts made of other composites and feel more natural. Application of porcelain veneers doesn’t require as much removal of tooth structure. With proper home care and regular dental checkups, porcelain veneers can last for 10 or more years and help maintain a bright, beautiful smile. It’s true that composite resin veneers are more affordable than porcelain and may be applied in one visit. However, resin may not work as effectively as porcelain in maintaining the whiteness of your smile, and they may not last as long before you need to replace them. If you have questions about porcelain versus resin, or specific brands of veneers such as LUMINEERS®, Dr. Fasano is available for consultation during your appointment to determine your best option. 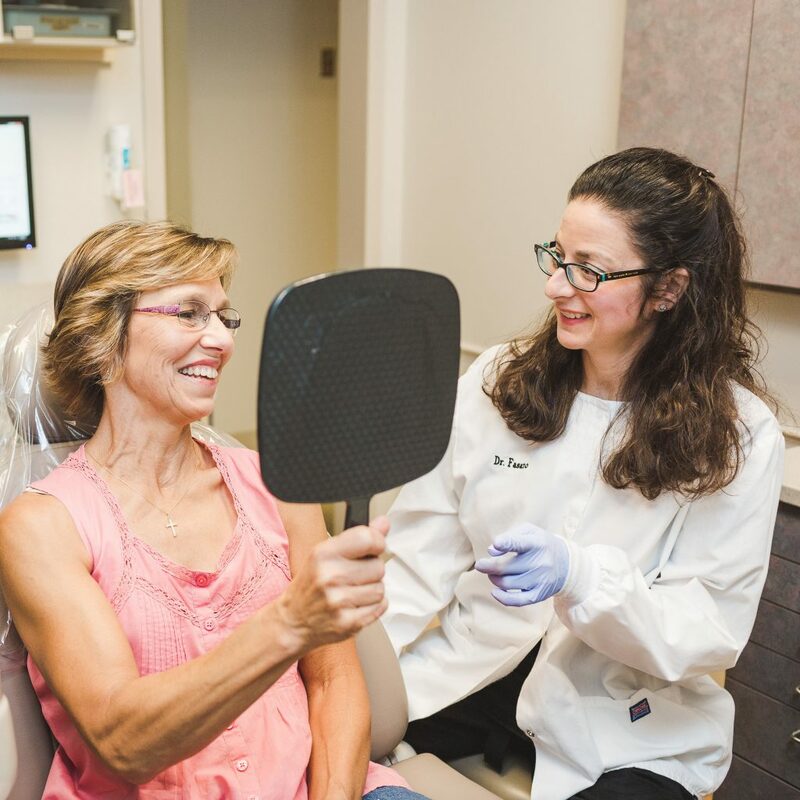 To learn more about veneers and the other cosmetic procedures Dr. Fasano offers, contact our Virginia Beach dental office today or request an appointment online.